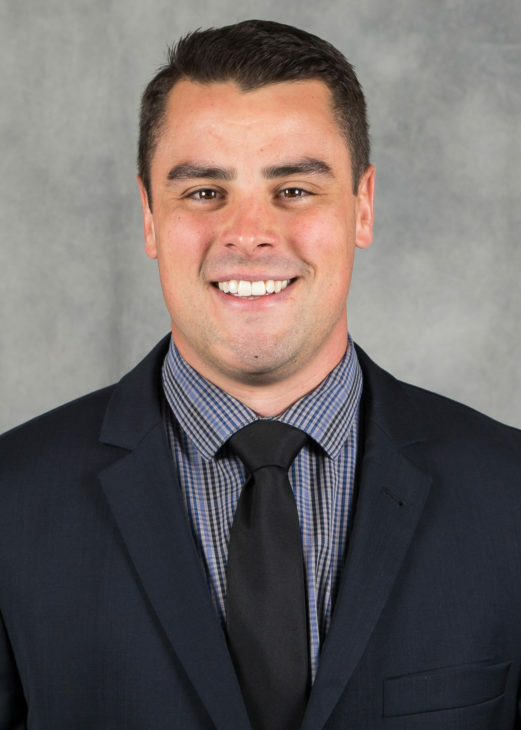 Brennan Sonne, who spent the past three seasons as an assistant coach with the Everett Silvertips, has signed as the head coach of Angers, a professional team in France. The Dukes of Angers play in the Ligue Magnus. Sonne’s move was first reported by Jesse Geleynse of the Everett Herald on his blog. according to a release on Angers’ website, both recommended Sonne for the position. Sonne spent the past three seasons coaching with Constantine, who was told on Tuesday that his contract as the Silvertips’ head coach won’t be renewed. Sonne played parts of three seasons with the Silvertips while Constantine and Varady were on the team’s coaching staff. Constantine was the head coach in Angers in 2010-11. Varady was the head coach there for two seasons (2011-12), before moving to Sioux City where he is the director of hockey operations and head coach of the USHL’s Musketeers. He recently was honoured as that league’s coach of the year. Sonne had been on the Silvertips’ coaching staff since Aug. 18, 2014. From Maple Ridge, B.C., he played parts of three seasons (2005-08), totalling 106 games, with the Silvertips. He also played with the Red Deer Rebels and Edmonton Oil Kings before spend three seasons with the UBC Thunderbirds. Sonne began his coaching career at the Meco Hockey Academy in Hong Kong. In Angers, Sonne replaces Jean-Francois Jodoin, who cited family reasons when he left the club following this season. Sonne’s contract with the Silvertips was to expire on May 31. As things now rest in Everett, assistant coach Mitch Love and goaltender coach Shane Clifford remain under contract through the end of May. The future of both men with the organization may well depend on the new head coach, whomever that might be. General manager Garry Davidson has said that he won’t be concentrating on hiring a new head coach until after the May 4 bantam draft. 1. Games 3 and 4 are scheduled for Kelowna on Tuesday and Wednesday nights. . . . The Thunderbirds had won 5-4 on Friday, scoring the winner, on a PP, with 11. 2 seconds left in the third period. Seattle now is 9-1 in these playoffs. . . . Last night, Gardiner scored twice, running his playoff total to 15 in 13 games. He won it at 4:56 of OT. . . . Seattle erased 2-0 and 3-1 deficits to force extra time. . . . Regan Bartel, the radio voice of the Rockets, reported that Gardiner’s first goal of the game, his 13th, set a Kelowna franchise record for goals in a playoff season. The previous record was set by F Jamie Benn in 2009. . . . The Rockets took a 2-0 lead into the second period on goals from F Nick Merkley (4), at 12:52, and Gardiner, shorthanded, at 19:59. . . . D Ethan Bear (5) got Seattle on the scoreboard with a PP goal at 3:12 of the second period. . . . F Kole Lind (5) restored Kelowna’s two-goal lead, on a PP, at 19:34. . . . The Thunderbirds pulled even on third-period goals from F Keegan Kolesar (7), on a PP, at 1:43, and F Donovan Neuls (6), at 9:06. . . . F Calvin Thurkauf had a big night for the Rockets, with four assists. . . . F Mathew Barzal drew two assists for Seattle, with Neuls, Bear and Kolesar each getting one. . . . Kelowna G Michael Herringer stopped 30 shots. . . . Seattle G Carl Stankowski blocked 28 shots, 14 of them in the third period, as he lost for the first time in 10 playoff starts. . . . Seattle was 2-5 on the PP; Kelowna was 1-6. . . . D Cal Foote was back in Kelowna’s lineup after serving a three-game suspension. . . . Gardiner leads all scorers with 27 points, five more than F Tyler Wong of the Lethbridge Hurricanes. Gardiner’s 15 goals are three more than Regina Pats F Austin Wagner. . . . Announced attendance: 5,050. Tuesday and Wednesday nights. . . . The Hurricanes had won, 3-1 with an empty-net goal, on Friday. . . . Brooks (knee) was injured in Game 2 of the previous series, sat out two games, then dressed for the last three but never got on the ice. He had an assist in Friday’s opener against Lethbridge, but this was his first goal since the second game of a first-round sweep over the Calgary Hitmen. . . . Brooks has four goals in these playoffs and three of them have been game-winners. . . . 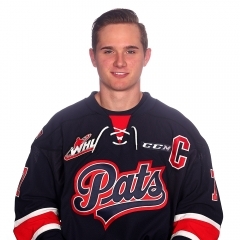 The Pats held a 2-0 lead in the third period, only to have Lethbridge force OT with two late goals. . . . F Jeff de Wit (2) gave Regina a 1-0 lead at 9:44 of the first period. . . . F Austin Wagner upped that to 2-0 with his 12th goal, shorthanded, at 7:21 of the third. . . . The Hurricanes tied it on goals 33 seconds apart from F Zane Franklin (2), at 9:21, and F Jordy Bellerive (6), at 9:54. . . . 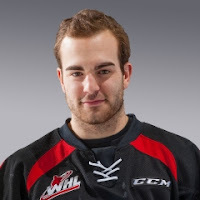 The Pats got two assists from D Sergey Zborovskiy. . . . Regina G Tyler Brown turned aside 29 shots. . . . At the other end, Stuart Skinner blocked 48, including 13 in OT. . . . Regina held a 14-3 edge in shots in the first period. . . . Each team was 0-4 on the PP. . . . D Calen Addison returned to Lethbridge’s lineup, but F Matt Alfaro remains sidelined. . . . Announced attendance: 6,484.